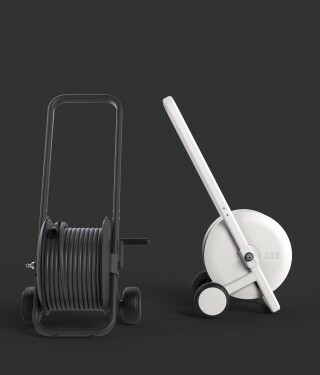 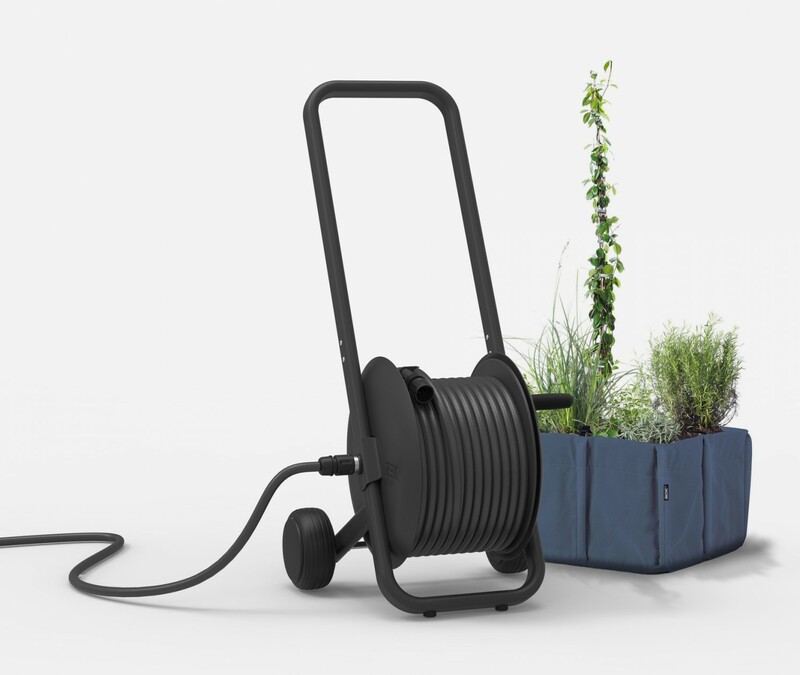 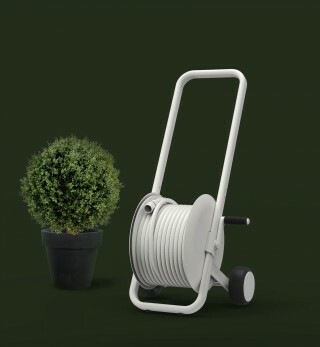 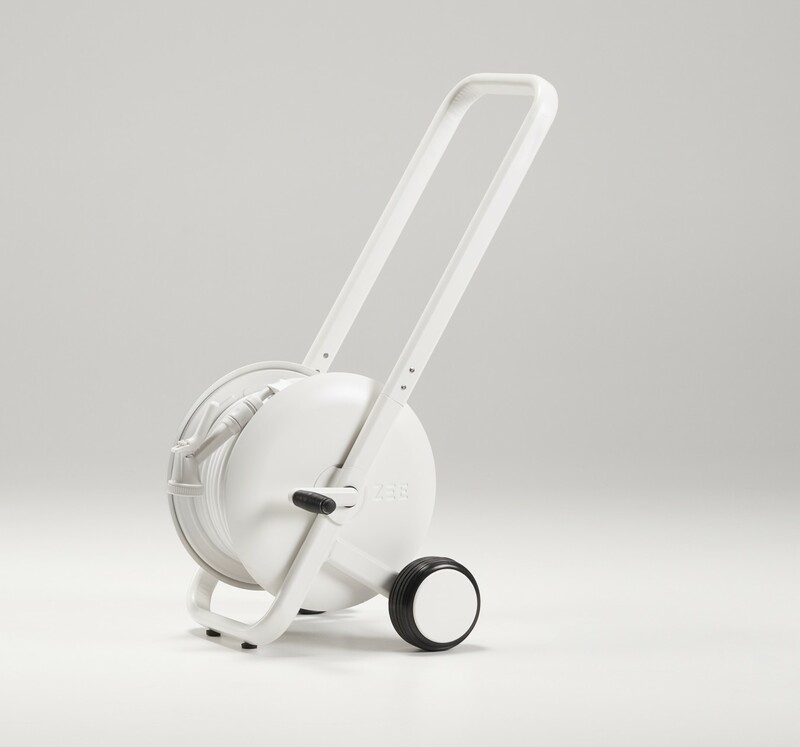 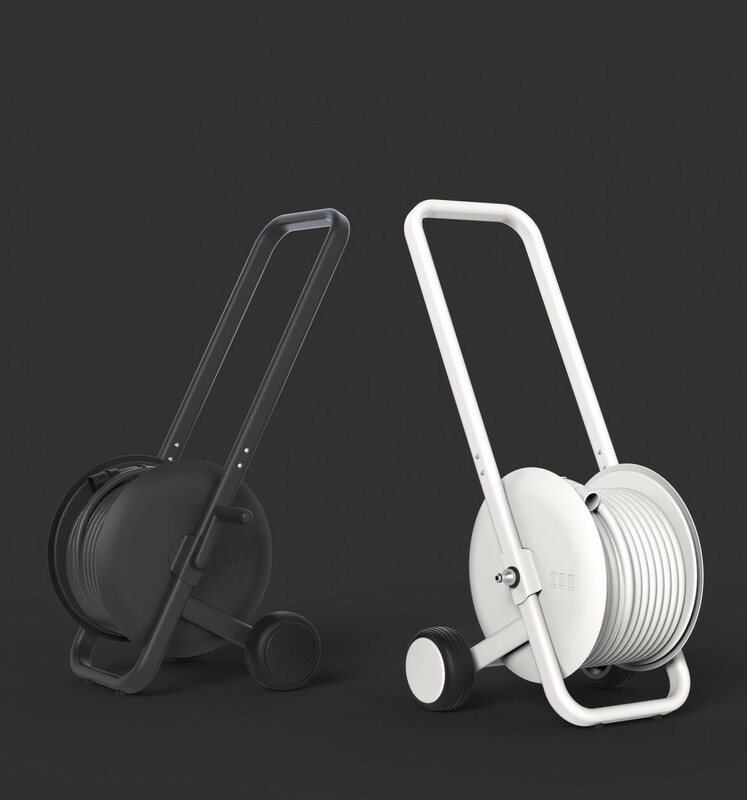 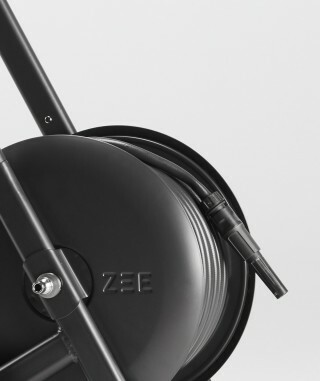 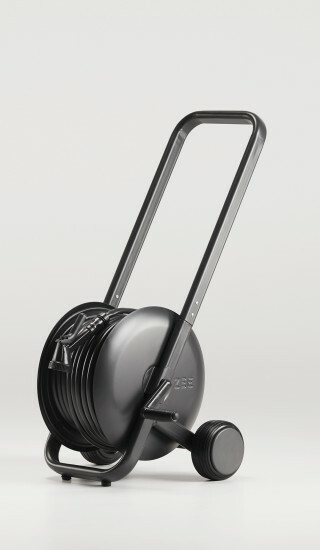 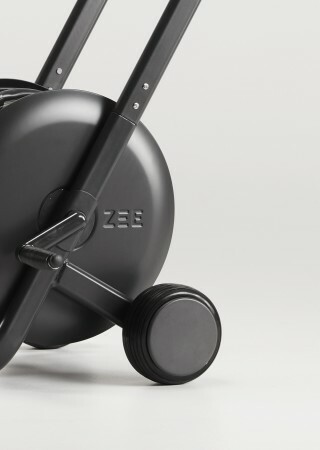 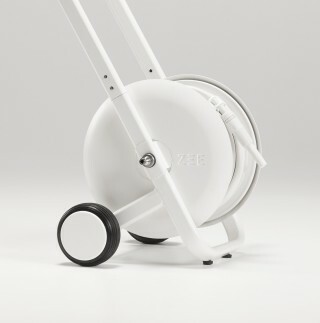 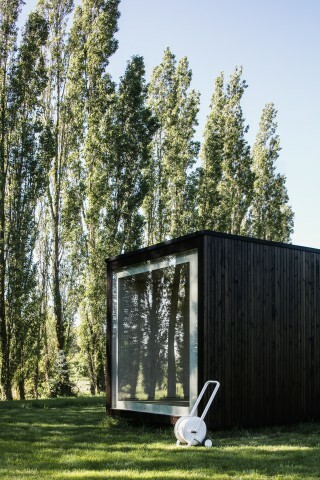 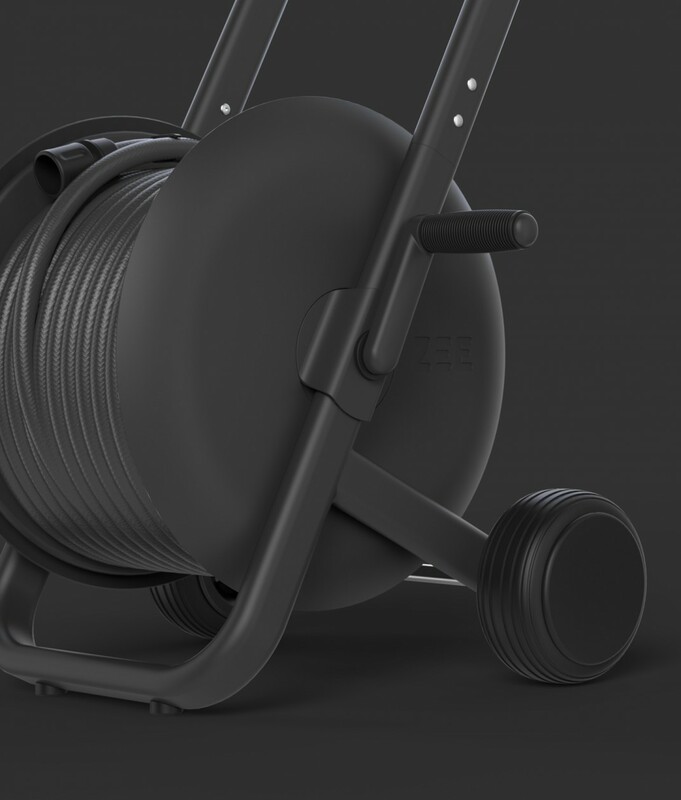 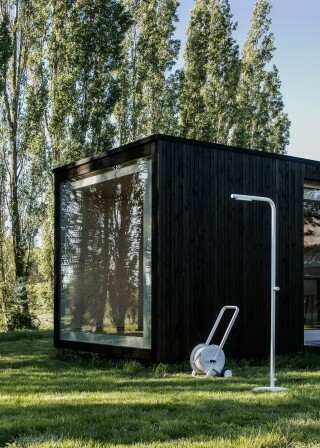 The Tasman hose trolley is a simple, solid, functional product, redesigned to bring style to your patios and gardens. 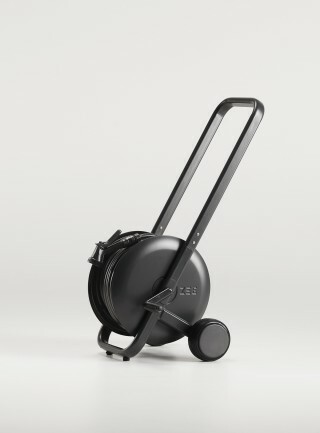 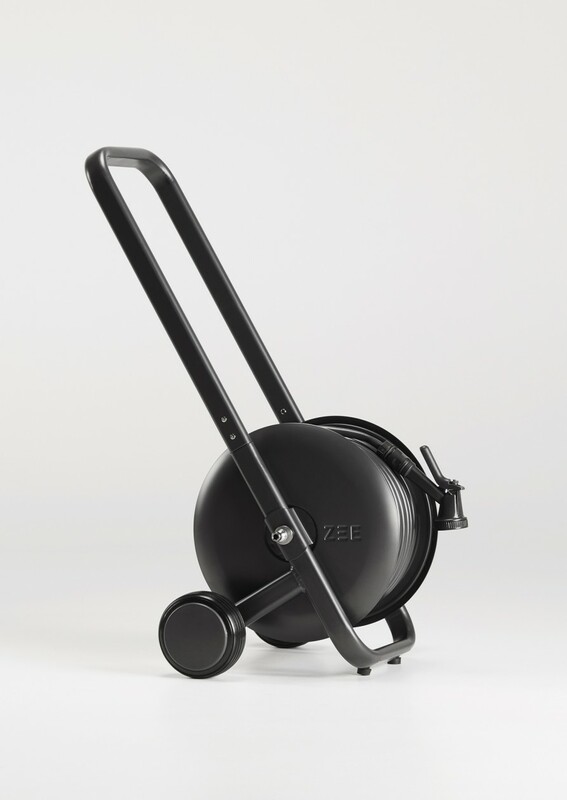 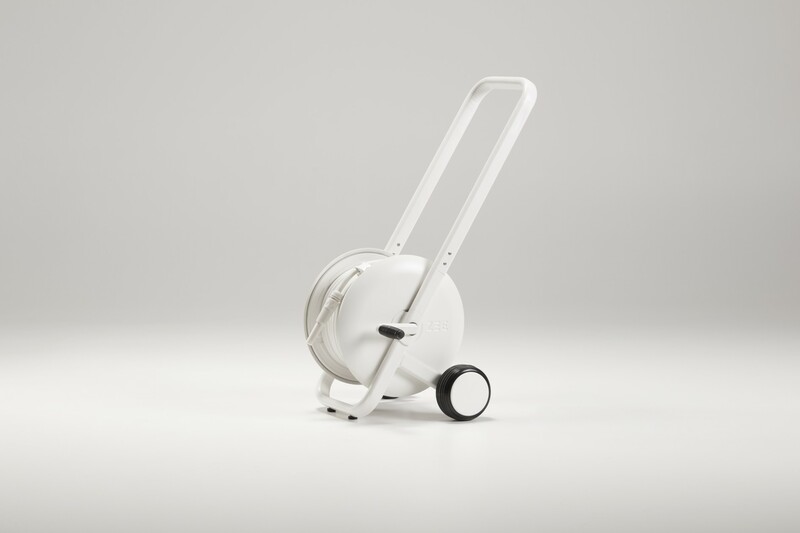 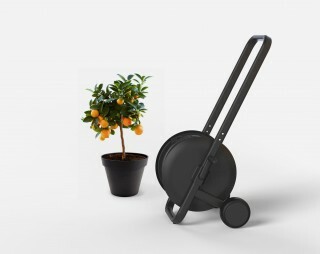 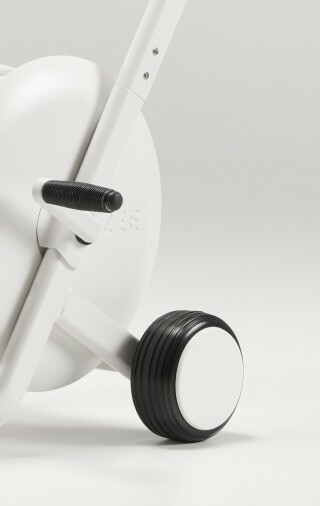 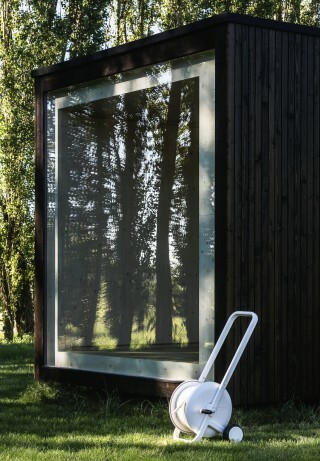 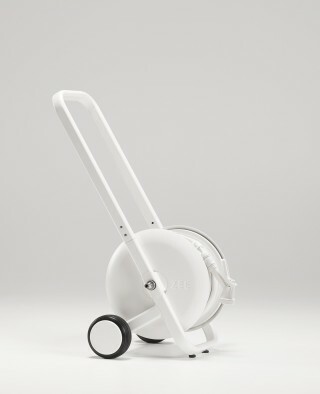 The bold design of the handle shapes and structures the trolley, giving it its unique, recognizable profile. 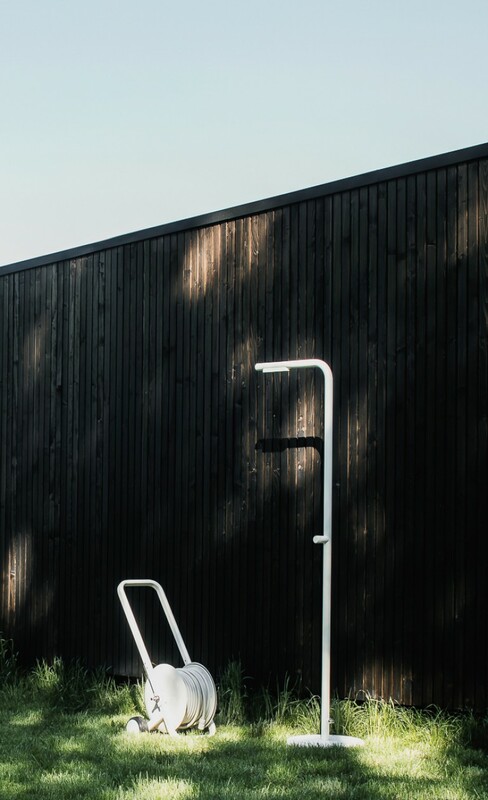 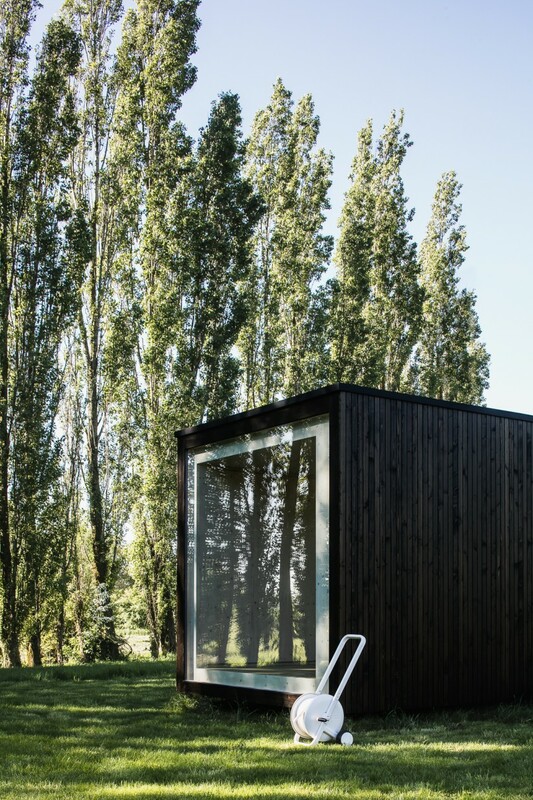 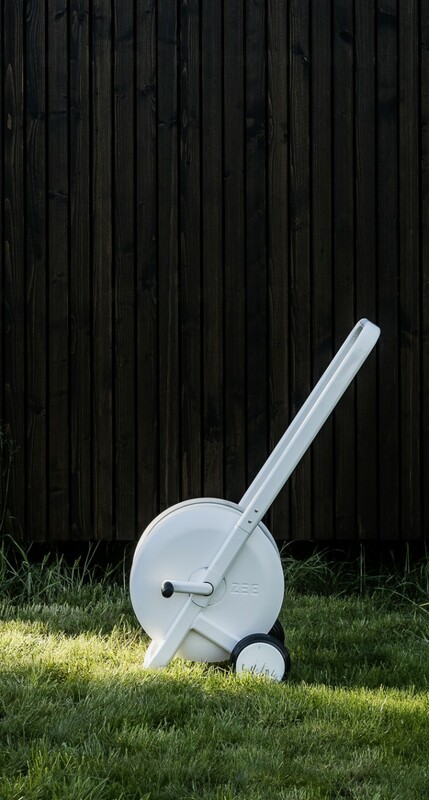 Special attention has been paid to the details and finishing touches to give it a minimalist, timeless, but nevertheless, harmonious appearance, enhanced by its sleek design. 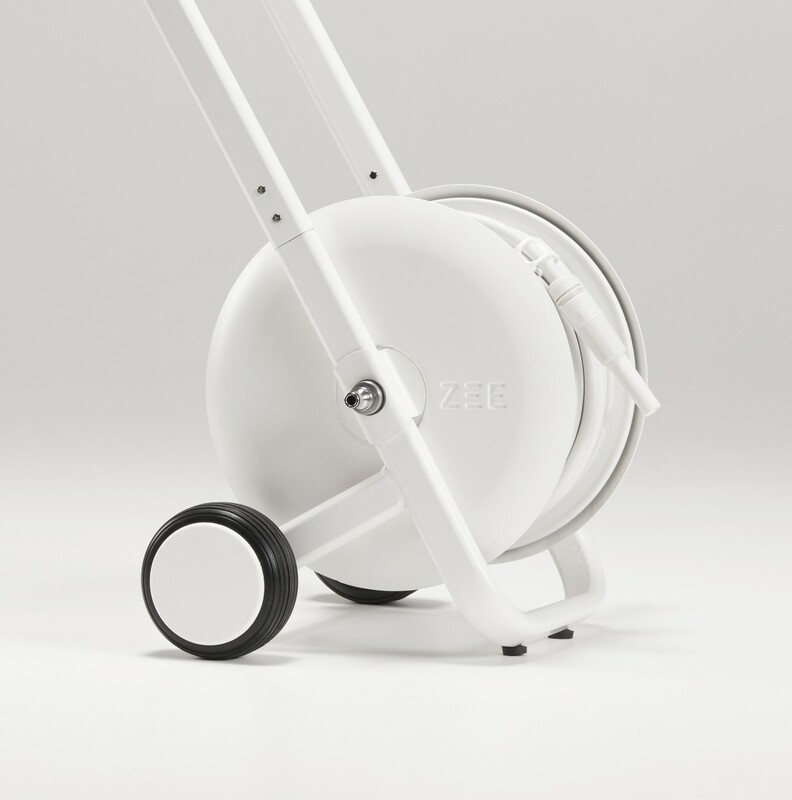 Its large wheels allow it to be moved easily on all types of surfaces without getting stuck or leaving unwanted marks on lawns. 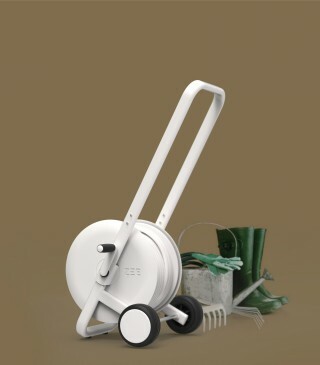 They also help it to clear obstacles more easily. 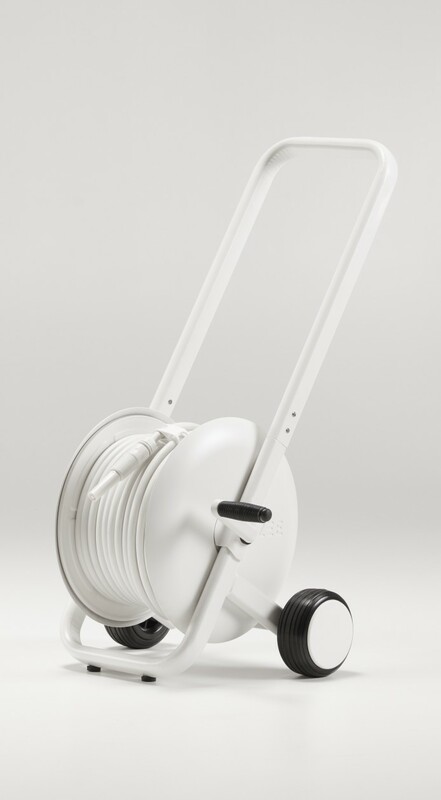 Materials Trolley in powder-coated galvanized steel, handle in Zamac, wheels in PP and ABS, Tyres in PU, 50-meter PVC hose.